Premier's Patriotic Eagle made of the durable SunTex(TM) fabric, wings spin in lower breezes. Large size, big movement and ease of assembly are the hallmarks of the Premier WhirliGigs. 18"
Premier's Whirligigs will liven up any yard or garden and put a smile on every ones face. Made of the durable SunTex(TM) fabric, wings spin in lower breezes. Assembly is easy. Includes fiberglass pole and ground spike for easy installation. Size: 6" X 20" and diameter is 16.5". Premier's Patriotic Eagle made of the durable SunTex(TM) fabric, wings spin in lower breezes. Large size, big movement and ease of assembly are the hallmarks of the Premier WhirliGigs. Size: 25 in. x 5 in. diameter: 27 in. Premier's Whirligigs will liven up any yard or garden and put a smile on every ones face. Made of the durable SunTex(TM) fabric, wings spin in lower breezes. Assembly is easy. 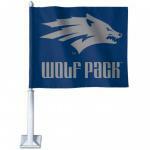 Includes fiberglass pole and ground spike for easy installation. Size: 9" X 28.5" and diameter is 24". Our Triple Spinners are made of quality fade resistant DuPont nylon; and Heavy-duty fiberglass hardware. Comes complete with heavy-duty ground stake. Length 27", Height 33", Diameter 17"
Our Spinner is made of Quality Solar Max Nylon, and heavy duty fiberglass. Our Spinners are made better than any manufacture. Size 48" x 46". Comes complete with everything you need to display your Spinner in the ground. Our large Windmill Spinner is made of Suntex nylon, and heavy duty fiberglass. Length 46", Height 48" Diameter 27". Comes complete with everything you need to display your spinner, staff and ground spike. 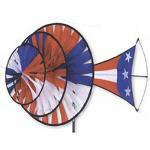 Our Patriotic Motorcycle Wind Spinners are made of Quality Solar Max Nylon, and heavy duty fiberglass. Our Spinners are made better than any manufacture. 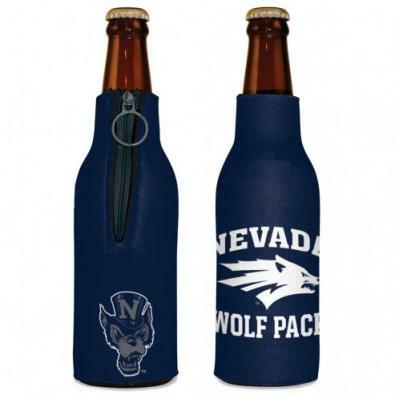 You can choose from the small 22" size or the larger and more heavy duty 32" size. Comes complete with everything you need including a ground spike to display your spinner. Our Patriotic Ring Windmill Spinners are made of quality fade resistant DuPont nylon; and Heavy-duty fiberglass hardware. Comes complete with heavy-duty ground stake. 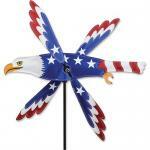 Height 33", Diameter 23.5"
Our Small Patriotic Windmill Spinner is Made of SolarMax Nylon, and Heavy Duty Fiberglass. Length 25", Height 33", Diameter 21". Comes complete with everything you need to display your spinner. These fun bicycle spinners are 32" x 30" and 12.25" in diameter. The wheels spin in a light breeze. They are made of a solar max fade resistant nylon material. This Premier spinner measures 19"x12" and 7" in diameter.Made of quality fade resistant DuPont nylon; and Heavy-duty fiberglass hardware. Comes complete with everything you need to display your spinner. Our Spinner is made of Quality Solar Max Nylon, and heavy duty fiberglass. Our Spinners are made better than any manufacture. Size 28.5" x 23" Comes complete with everything you need to display your Spinner in the ground.